LFC Foundation has transformed the lives of two young brothers from Anfield through its IntoUniversity programme. Hills and Wills are 10-year-old twins, and are regular users of the IntoUniversity North Liverpool Centre, which helps children and young people from disadvantaged backgrounds to reach their potential. The facility, which was launched in November 2017, is a collaboration between LFC Foundation, educational charity IntoUniversity and the University of Liverpool. It supports students aged seven to 18 by providing after-school homework help and one-to-one mentoring with University of Liverpool students, as well as delivering workshops on careers and further education. Hills and Wills are stand-out examples of the incredible progress made by the North Liverpool centre during its first year. The boys have both identified their long-term ambitions beyond school and are being equipped with the skills and information achieve their goals. 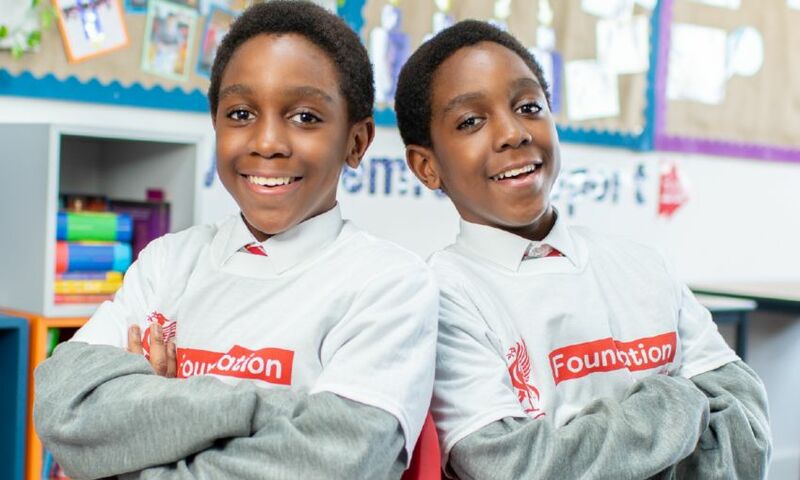 The brothers were chosen to be a part of LFC Foundation’s #ivefound campaign, which is designed to share the personal stories of children and young people who have benefitted from the support of the LFC Foundation. You can watch Hills and Wills’ story in full here.